Now is the time to play ! Playtime tradeshow’s playgrounds will be open on sunday 24th of january, and I played with them ! Meet us at the Parc Floral de Paris to see more enjoyments. Thank you for following me on Facebook! 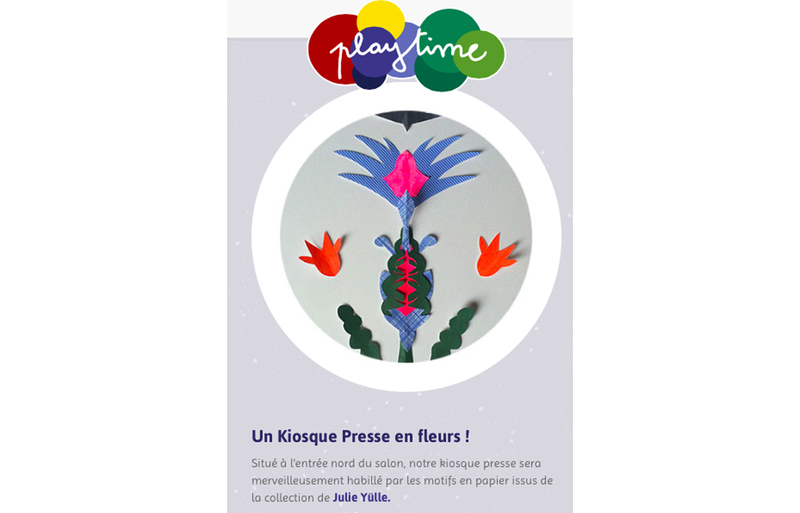 Newer Post Playtime’s press kiosk Older Post For the first time on “Maison et Objet”!